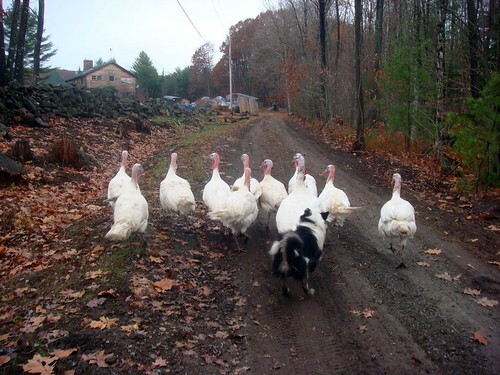 I use our walks for lots of training and practice, controlling the dogs, moving recalcintrant turkeys, not letting her chase the geese, releasing them from "work" to let them play. These boys were all over the loggers equipment, so it gave me a good excuse to have her gather them up and make them go home. The toms are so aggressive that it's good to give her situations where she can easily control them.